Howdy, fellow bloggers! My name is Julie. I blog over at This Gal Cooks about food! The name didn't give it away, did it? ;) I'm excited to be guest posting on Carrie's blog today because, well, I just love her blog and she's become a great bloggy friend. I hope that one day we can meet in person! I'd love to get all of us fellow bloggy gals together one day! 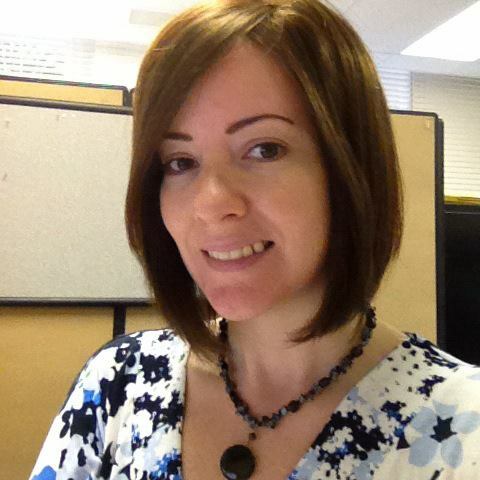 A little about me - I'm a foodie who loves to cook and bake. I dream of one day owning my own cafe or bake shop. When I'm not whipping up great dishes in the kitchen, I can be found enjoying a beer, enjoying the outdoors or doing arts and crafts! 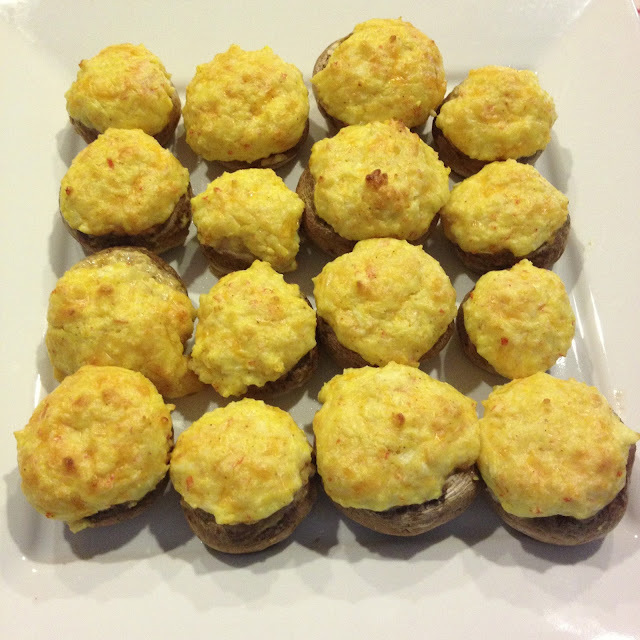 What I will be sharing with you today is a stuffed mushroom recipe.Who doesn't LOVE stuffed mushrooms? And with football season in full swing and the holidays right around the corner, this recipe will make a great appetizer that the friends and family are sure to enjoy. I hope you enjoy my recipe! 1. Pre-heat oven to 350. Lightly oil a baking pan with olive oil. 2. Wash mushrooms and remove the entire stem from each mushroom. 3. In a food processor, chop the imitation crab and onion. 4. In a mixing bowl, combine the cream cheese, shredded cheese, sour cream, mayo, garlic powder, seasoned salt and curry. Mix in the chopped imitation crab and onion. 5. Stuff each mushroom with about 1-2 tsp of the mixture (it really depends on the size of the mushrooms you get) Place the mushrooms on the oiled baking pan and bake at 350 for 20-25 minutes. If you have any leftover mixture, I suggest making wraps or crab rangoon with it. I will be making crab rangoon one day with this mixture! I hope you enjoyed this recipe! Have a great day! Thanks for having me on your blog today, Carrie! Are you guys confused today? You both on the wrong blog! :) These mushrooms look awesome! Yum, lady! These look great. 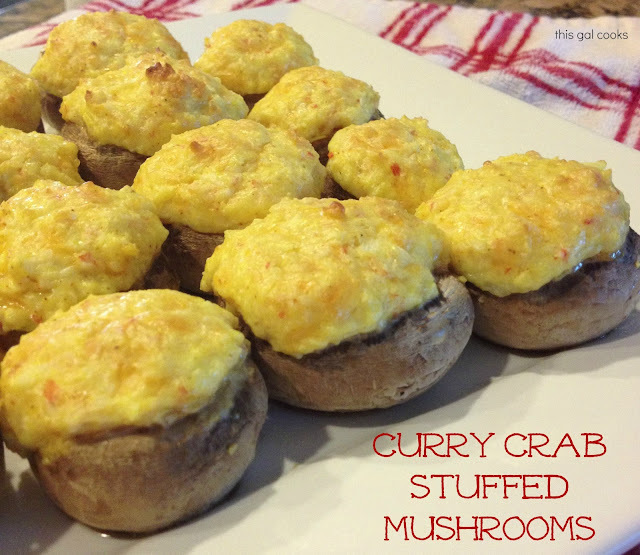 We love imitation crab in our house, and stuffed mushrooms?!? Amazing combo.